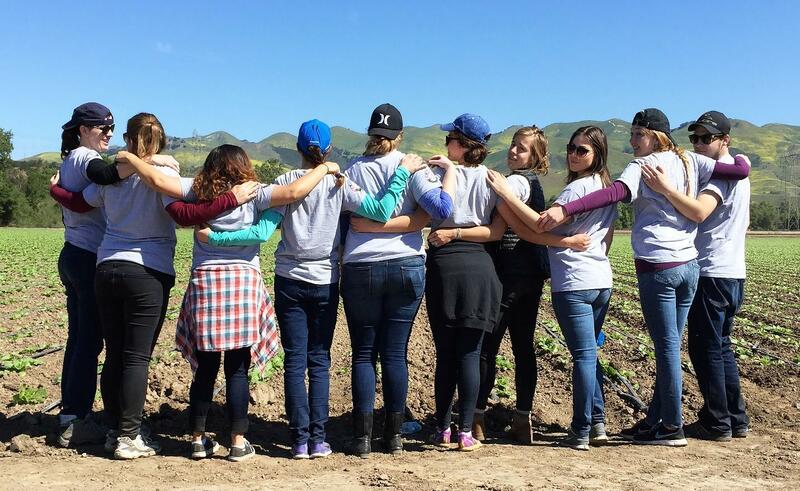 Non-profit and educational organizations located in San Luis Obispo and Northern Santa Barbara Counties are welcome to apply to host a VIP AmeriCorps member. Agencies are selected based upon current need and compatibility of the agency's needs with the goals of the Volunteer Infrastructure Project. Partner Agency recruitment is taking place now through June, with members beginning service in September 2018 and serving through July 2019. Agencies are required to submit a Host Site Application, Baseline Volunteer Capacity Assessment, and Supervisor Information Sheet. All hosting agencies are required to pay a cash match; the AmeriCorps Program covers all additional member expense including the Education Award and health insurance. Host Agencies must complete and sign a VIP Memorandum of Understanding (MOU) upon acceptance into the program. Partner Agencies are required to assist in the recruitment of AmeriCorps Members for their site. AmeriCorps is not a job; it is a paid service experience. AmeriCorps members are not employees of the agency; they are AmeriCorps members serving at a host site. AmeriCorps offers an opportunity to gain professional development, experience, and the satisfaction that comes from helping others. The positions focus on building the capacity of agencies by building and strengthening volunteer programs in community agencies and have a fundraising component. AmeriCorps is an 11-month service commitment from September 2018 - July 2019. All positions are full-time (1700 hours/year). Members receive a living allowance, paid twice monthly in equal installments throughout the term of service. Upon successful completion of AmeriCorps service, members become eligible for an education award that can be used to pay for college and some work training programs or to repay outstanding student loans. Members are eligible for health insurance and subsidized child-care for the length of their service term. AmeriCorps members who begin service in 2010 or later, who are age 55 or older at the time they commence service, may, upon successful completion of a term of service, transfer the education award to a child, grandchild, or foster child. APPLY HERE to become an AmeriCorps VIP Fellow in SLO County!